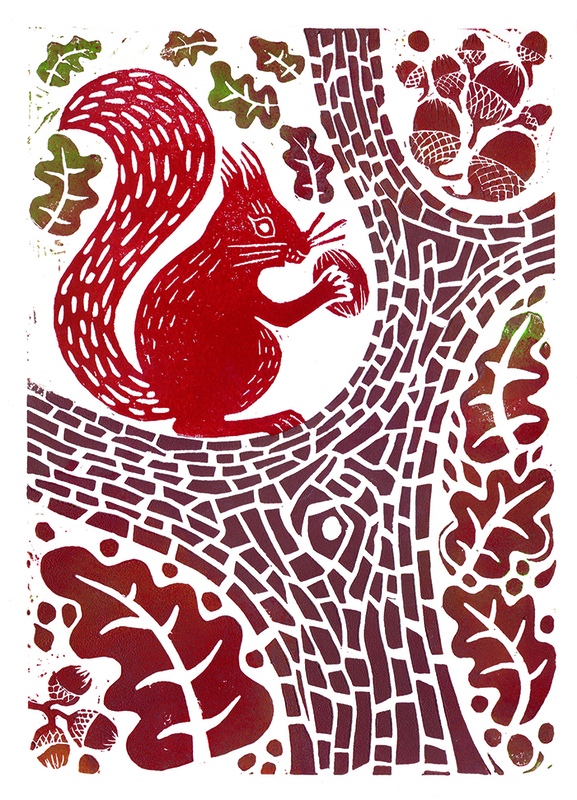 Autumn is a heavenly time for squirrels, what with all the nuts and seeds in abundance. This one is a Red Squirrel. Much rarer in the UK than it's grey cousin, due to the Grey liking their food less ripe than the Red and carrying a disease that kills the Red but not themselves. So you are lucky if you see a Red south of the Scottish border. This fella was spotted in the woods near Liverpool, feasting on acorns. Printed in a few shades of autumny brown and red.